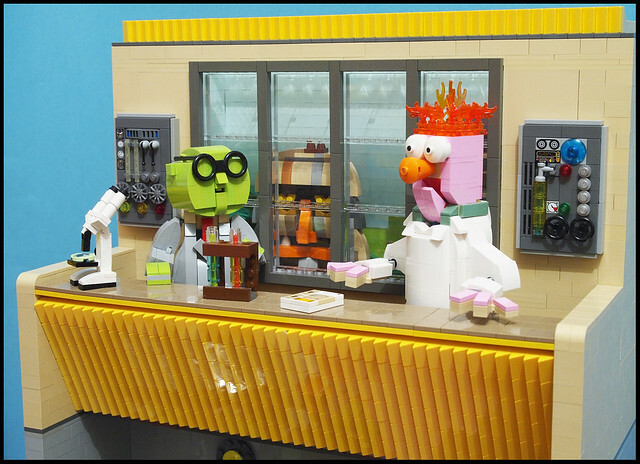 One glance at this amazing LEGO Muppet creation by Andreas Keinbart and I can already hear Beaker frantically meep-meep-meeping. 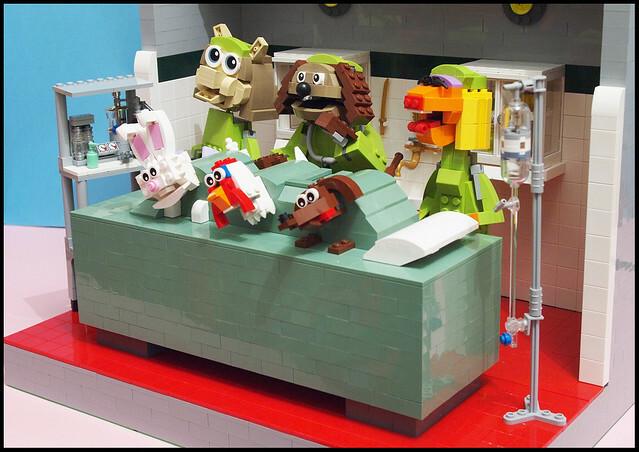 Based on the recurring Veterinarian’s Hospital setting from The Muppet Show, the huge multi-level motorized diorama features many of the beloved Muppet characters in brick form. Up top in the lab are Dr. Bunsen and Beaker, with Sweetums coyly hiding in the back. Incredibly, many of the characters are animated with LEGO gears and motors. Beaker’s mouth, of course, opens and closes, and Sweetums peaks in then goes back into hiding. Down below in the operating room are Dr. Bob (aka Rowlf), Nurse Piggy, and Nurse Janice, along with their patients, a rabbit, a chicken, and Baskerville the Hound. Check them all out in this video by Andreas, which also includes a cool behind-the-scenes at the mechanisms that make the LEGO Muppets move.